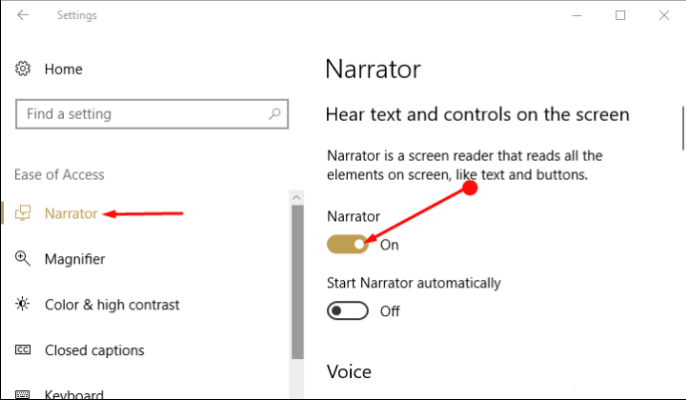 Windows 10 takes care of all its users including those who are visually impaired. It provides few tools and settings which help in this cause. The audio channel is an application that reads aloud each and every movement of the cursor and keyboard buttons of the system. Audio Channel is a recent feature addition in the tool which aims to give a much better sound application at work. This is an important tool for those who are destitute of vision. It allows using a computer by interacting with the activities through the texts on the screen and buttons and reads it aloud. Not only this, the Narrator helps in writing emails, browsing and working with the documents.